Fairway Inn Fort Walton Beach FL Hotel | Emerald Coast Hotel. Welcome to the hotel Fort Walton Beach FL travelers can depend on, The Fairway Inn. Our smart pick of Emerald Coast hotels is situated perfectly just 2 miles from downtown Fort Walton Beach and about 10 minutes by car from the beach itself. Additional attractions and points of interest nearby include Indian Temple Mound and Museum, Gulfarium Marine Adventure Park, Emerald Coast Science Center and Emerald Coast Conference Center. You’ll also find Liza Jackson Park less than a mile from our property, and it’s only 10 minutes by car to Santa Rosa Mall. We’re within quick and easy reach of Hulburt Field Air Base too. 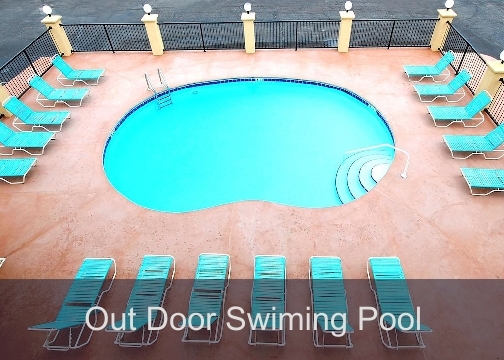 When you make us your Fort Walton Beach FL hotel, amenities you can expect include an outdoor pool, guest laundry facilities, an elevator and free wifi. Plus, we our front desk is open 24 hours a day, so you can check in, check out and get assistance from our staff at any hour. Pets are allowed for an additional charge. Our goal is to provide simple, affordable accommodations in pleasant, clean rooms for guests of all kinds. We look forward to meeting you and serving you at The Fairway Inn in Fort Walton Beach. Why not make a reservation now? We’re your smartest business idea. For business travel, the right Fort Walton Beach FL hotel is The Fairway Inn, proud to be the most affordable of the hotels near Destin, Florida or the surrounding area. Our place to stay is designed from the bottom up to accommodate every kind of traveler, including business travelers like you. Everything about our hotel Fort Walton Beach FL travelers love adds up to a pleasant experience, so stay with us with complete confidence. All you have to do is remember to reserve your room right away so you can be sure you get what you want at the time you’ll be here. May we serve you? We’re a sensible idea for your family. For family adventures, we hope you will consider The Fairway Inn, the pick of hotels in Fort Walton Beach FL that travelers can trust for unmatched comfort, quality and affordability. Select us when looking for Indian Temple Mound Museum Destin hotels or places to stay near the other local attractions and points of interest. In fact, no matter why you’re traveling in this area with your family, you can expect a great experience that will make you want to come again. Put aside other accommodations options and make us your option for affordability. It’s decision that will prove itself to you and your family. We’re an affordable place to stay for any kind of traveler. In fact, for affordable hotels in Fort Walton Beach FL, no property makes more sense than The Fairway Inn. Our pick of Destin Fort Walton Beach hotels is known for great rates. And no matter what you’re seeking, we’re available to you. This place is also known for basic comfort and great convenience, and we certainly won’t let you down. Stay with us for a value-conscious hotel stay that’s sure to be to your liking. May we be of service to you as you travel the Emerald Coast? When you stay just once, you may find that we’re the best hotel for your future needs too. Okaloosa Island Fishing Pier offer bird-watching opportunities and has rental choices that are right for travelers. Wild Willy's Adventure Zone is a dinosaur-themed adventure park you and the whole family can enjoy for the day. Fort Walton Beach Landing Park is a simple waterfront park with a small climbing wall and a stage where there are sometimes concerts. Heritage Park and Cultural Center involves several museums and goes through the long history of this interesting and unique area. This website is individually owned by Fairway Inn Fort Walton Beach, Florida.